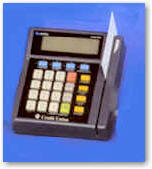 Electro-Pack Inc. manufactures cleaning cards to clean magnetic stripe card readers. They are made from PVC plastic laminated on both sides with polyester and pre-saturated with alcohol. These cards are used to clean and service credit card readers, petroleum card readers, hotel door locks, security pass cards, toll gates and much more. Proud to be Canada's sole manufacturer of magnetic swipe saturated cleaning cards.